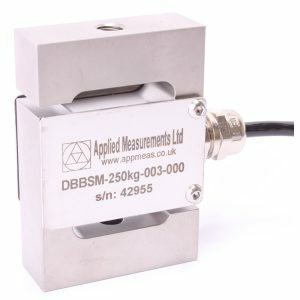 The WS12 heavy duty draw wire displacement sensor range is designed to allow position, displacement or length measurement in harsh, heavy duty industrial applications and is available with ranges from 0-100mm and 0-3000mm. The precision potentiometer sensing element used in the WS12 draw wire displacement sensor offers superb accuracy with linearity better than 0.1%/FS coupled with excellent resistance to shock and vibration. An R1K potentiometer output is provided as standard from the WS12 heavy duty draw wire displacement sensor, while the option of integral signal conditioning to 0-10Vdc, 4-20mA or a digital SSI output is available if preferred. User-adjustable 0-10Vdc and 4-20mA output versions are also available. Installation of the WS12 is fast and simple, while the compact IP67-rated aluminium and stainless steel housing provide protection against the toughest industrial environments. Typical applications for the heavy duty draw wire position sensor include renewable energy system development & control, vehicular measurements and hydraulic systems. The wire line transducer also provided very accurate and repeatable control with the mast position being known to with 1-2 mm. Applied Measurements were contacted by Victoria University of Wellington to provide reliable and accurate equipment that could operate in the sub-zero temperatures of the Antarctic. 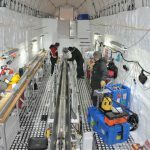 Using Applied Measurements’ two customised DBEP shear pin load cells, a WS12 draw wire sensor and four intuitive2 displays, the RICE team were able to successfully extract a 763m deep ice core from an ice cap on Roosevelt Island. Applied Measurements needed to design and manufacture a pair of custom load pins for the university that could compensate for temperatures as low as -30degC. The load pin also had a built in ICA4S amplifier that could give a 4-20mA output for them to use to monitor the drilling forces.